Luke Bryan will perform his brand new single, “Kickin’ the Dust Up,” on both the Ellen DeGeneres Show and on NBC’s The Voice on Tuesday (May 19th). Keith Urban will participate in NBC’s star-studded event, Red Nose Day, Thursday (May 21st). The three-hour special, airing at 8pm ET, will raise money and help fight childhood poverty (among other children’s charities), while entertaining the masses. Keith will partner with John Mellencamp to perform “Pink Houses” on the show. 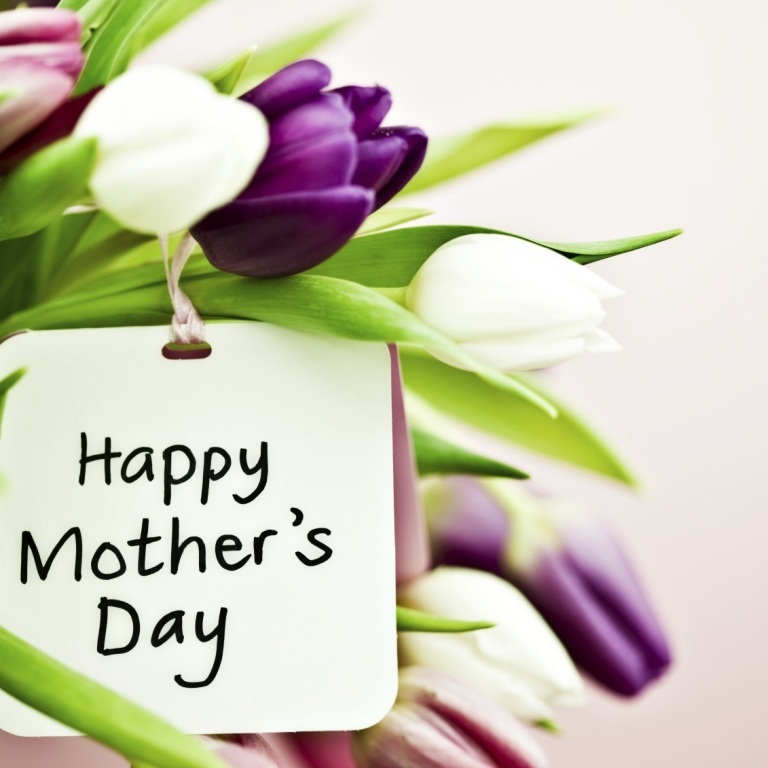 Blake Shelton, Jimmy Fallon, Will Ferrell, Jennifer Aniston, Jennifer Garner, Reese Witherspoon, Jodie Foster, Robert Pattinson, Helen Mirren, Liam Neeson, Christina Aguilera, Pharrell, Adam Levine, Paul Rudd, Anna Kendrick, One Direction, Richard Gere and many others are also schedule to appear. SONGS BY LUKE BRYAN, DARIUS RUCKER, ERIC CHURCH, LADY ANTEBELLUM, KEITH URBAN. 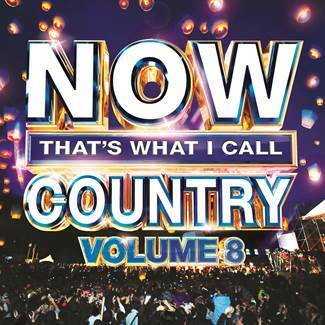 ERIC PASLAY, SAM HUNT AND MORE WILL APPEAR ON ‘NOW THAT’S WHAT I CALL COUNTRY, VOLUME 8’ OUT NEXT MONTH. NASHVILLE, Tenn. – On June 9th, Universal Music Group Nashville will release Now That’s What I Call Country Vol. 8, the latest installment in the popular NOW series. Country music fans can hear hits by some of their favorite artists including Luke Bryan, Darius Rucker, Eric Church, Keith Urban, Miranda Lambert, Cole Swindell, Lady Antebellum and more. The project is a joint venture from Universal Music Group and Sony Music Entertainment. This release is part of the multi-platinum NOW That’s What I Call Music! compilation series, the world’s best-selling multi-artist albums with sales topping 250 million worldwide and 94 million in the U.S. The seven previous NOW That’s What I Call Country releases have debuted in the Top 3 of the Billboard Country albums chart. Now That’s What I Call Country Vol. 8 is distributed by Universal Music Group. NOW and NOW That’s What I Call Music! 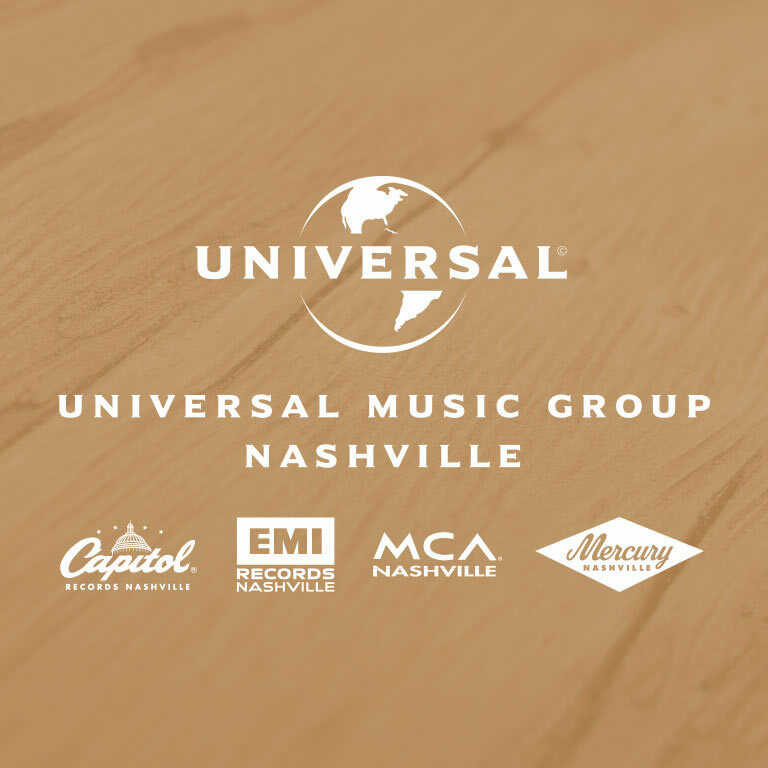 are registered trademarks of Universal Music Group and its affiliates. Audio / Luke Bryan says “Rollercoaster” is one of the best songs on his Crash My Party album. KEITH URBAN SCORES 18TH NO. 1; PERFORMS ON ‘AMERICAN IDOL’ TUESDAY. 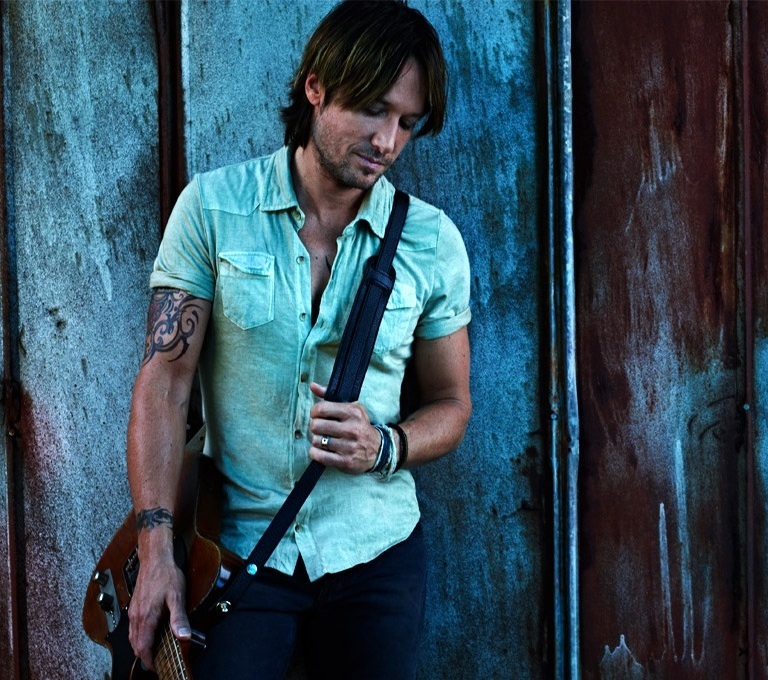 Keith Urban’s “Raise ‘Em Up,” featuring Eric Church, today hit No. 1 on both the Billboard Country Airplay Chart and the Country Aircheck/Mediabase Country Chart, raising his total of chart-toppers to 18. The song is his fourth No. 1 from his album FUSE, which also includes “Little Bit Of Everything,” (August 26, 2013) “We Were Us” (November 25, 2013) and “Somewhere In My Car.” (November 24, 2014). FUSE, Urban’s seventh studio album, has been one of the most recognized recordings of his career. It’s release marked the only time in history that a male Country artist has captured the #1 all-genre album chart simultaneously in the U.S., Canada and Australia. In addition, the album led to more than twenty-two worldwide award nominations including multiple CMA (Country Music Association), ACM (Academy of Country Music) and Aria Award wins. “Raise ‘Em Up”, written by Jaren Johnston, Jeffrey Steele and Tom Douglas, was co-produced by Nathan Chapman and Urban, also marks Urban’s 18th No. 1 in Canada. Urban will be performing this Tuesday night on the two-night finale of American Idol and can be seen performing this Summer in Festivals and Fairs. For more news and tour information go to www.keithurban.net. KEITH URBAN FELT ‘RAISE ‘EM UP’ WAS A PERFECT COLLABORATION WITH ERIC CHURCH. 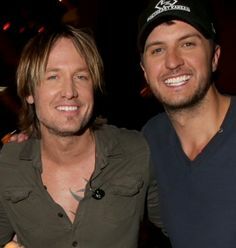 One of Keith Urban’s favorite records is Eric Church’s Chief, and the two became friends over the course of the past few years. The two started sharing music that the other one may not have heard, which led to their collaboration on Keith’s latest album, Fuse. “Raise ‘Em Up” didn’t start out as a duet, but Keith said it “struck” him as the perfect song for him and Eric to record together. “Raise ‘Em Up,” the fifth single from Fuse, is poised to hit the top of the country charts. 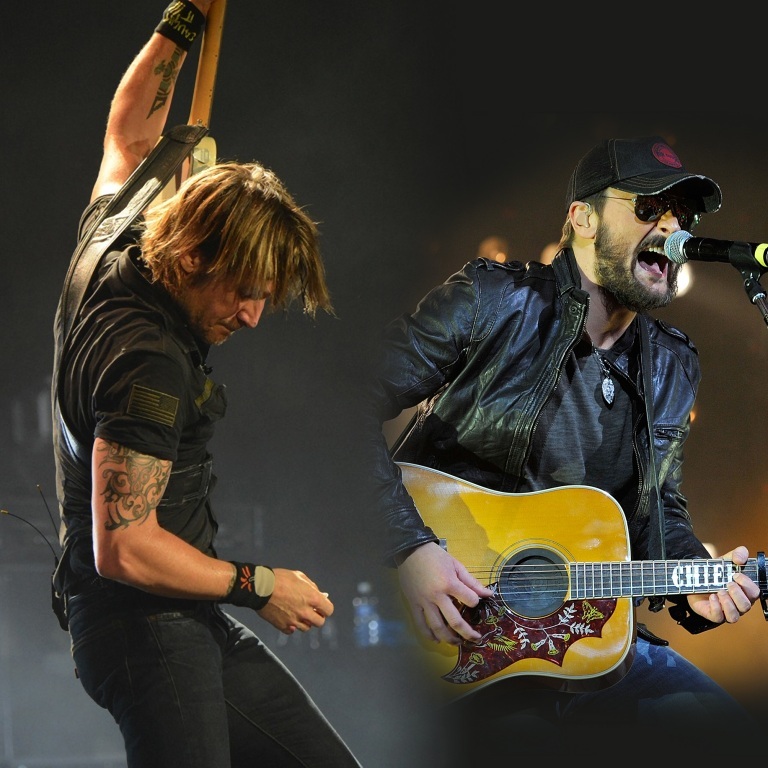 Audio / Keith Urban and Eric Church share a love of music. Audio / Keith Urban said ‘Raise ‘Em Up’ was the perfect song for him and Eric Church to do together. KEITH URBAN MARKS 32ND TOP 5 SINGLE. Keith Urban’s latest single, “Raise ‘Em Up”, featuring Eric Church, his fifth from his #1 album FUSE, hits #5 this week marking his 32nd Top 5 single. But perhaps even more impressive is his place alongside some of history’s greatest streaks – the Miami Dolphins 1972 march to 17-0 or Joe DiMaggio’s 56-game hitting streak of ’41 – as Urban’s consecutive streak of Top 10 songs hits thirty three. For more Keith Urban news and information go to www.keithurban.net. DARIUS RUCKER, KEITH URBAN AND MICKEY GUYTON WILL PRESENT AT THE ACM AWARDS. Darius Rucker, Keith Urban and Mickey Guyton have been added to the list of performers at Sunday night’s (April 19th) ACM Awards, along with Clint Black, Lee Brice, Brett Eldredge, Kelly Clarkson, Brantley Gilbert, Hunter Hayes, Justin Moore, Jake Owen, Thomas Rhett, Trisha Yearwood, Alabama, Dwight Yoakam and Big & Rich. Also presenting will be Modern Family’s Sophia Vergara, Oscar winner Reese Witherspoon, Aerosmith’s Steven Tyler, Two Broke Girls’ Beth Behrs, former Dallas Cowboys’ quarterback Troy Aikman, current QB Tony Romo and tight end Jason Witten. The 50th Annual ACM Awards, hosted by Luke Bryan and Blake Shelton, will be broadcast live from AT&T Stadium in Arlington, Texas at 8pm ET on CBS.